We believe that each person has a purpose and calling on their life from God, and He has given each of us our bodies to use to carry out that purpose. Foundations 6:19 is designed to provide opportunities, resources and support for individuals to learn how to care for their bodies in such a way that is practical, economical and enjoyable. Foundations 6:19 is for the weary dieter who has tried everything to be healthier without results, and it is for the fitness enthusiast who has already learned how to incorporate exercise into their daily lifestyle. It is here that men and women of all fitness levels can find and maintain their “want to” mindset that is crucial to making lasting lifestyle changes. Through accountability and authentic relationships, our desire is to create an atmosphere where individuals can unite to help one another succeed in reaching their health & fitness goals, while developing a healthy lifestyle that honors God. Foundations 6:19 provides local group fitness sessions that incorporate elements of cardio, strength, flexibility and core training for a total body workout. Sessions include a variety of circuit training, bootcamps and HIIT workouts to motivate and challenge members of all fitness levels. All equipment is provided on-site and is available on a first-come basis. You are now part of our virtual on-line community, designed to encourage and equip those who cannot attend locally. Through social media (check out our Facebook page & Newsletter), Foundations 6:19 provides fitness challenges, nutritional tips, before & after stories and words of encouragement to come alongside you to help you succeed in reaching your health & fitness goals. We believe that this journey to health & fitness is a balancing act that begins with our mindset and is manifested in our physical bodies. By connecting these two aspects through spiritual edification and authentic relationships, members of Foundations 6:19 will learn how to improve their quality of life and be able to enjoy the benefits of their healthy lifestyle abundantly and in a God-honoring fashion. FOUNDATIONS 6:19 exists to encourage and equip others to honor God with their bodies through proper nutrition, strategic exercise, accountability and spiritual edification in order to improve their quality of life. It is our belief (1 Corinthians 6:19, 20) that our bodies are in essence the foundation for the calling & purpose God has placed on each of our lives for His honor and glory. Our vision is to see the lives of our families, friends and community transformed as we unite to build each other up and share in the fullness and abundance of God's blessings as we become healthier individuals. Our purpose is to provide health & fitness opportunities for people to build up their foundation (body) to honor God with their whole lives physically, mentally and spiritually. Our mission is to help others experience God's power in their lives through the building up of their foundation (body) through strategic exercise, healthy eating, and surrendered spirits while fostering unity in the community. 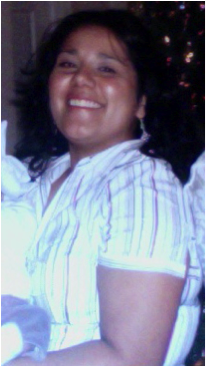 This is me after having my daughter in 2007. It’s been almost six years since I started my journey to health and fitness. I gained 60 pounds when I was pregnant with my oldest daughter, weighing in at 198 just before I gave birth. I was not at all happy with myself. So, I started on a mission soon after to lose the weight and just “feel” comfortable in my own skin. I tried a variety of programs from Turbo Jam to ChaLean Extreme, and finally Insanity. And I did lose weight successfully. Exercising was definitely a major part of my journey, but changing how I ate played an even bigger role in my life. As I continued to exercise and eat healthy, I found it harder and harder to lose weight and keep it off. What’s more, I was finding it hard to motivate myself to keep on. Then I started a Bible Study by Lysa TerKeurst titled Made to Crave…and it changed my life. Through this study, God showed me that without Him, no exercise or diet would ever bring me the satisfaction my soul longed for…only He could bring true meaning to my life. And it brought new meaning to the truth that my body is His temple and I am to honor Him in everything I do. During this time, I attended a couple's Bible Study where two wives, who were also teachers, approached me about working out. They wanted to walk...I told them I didn't walk, but if they wanted to exercise, I'd love to work something out. They agreed. After getting permission from the Superintendent, we set up some days and times and started exercising together at our local high school! We started with 5 ladies, including myself. The group has grown steadily, with an average of 10 attending each week. Men are also welcome, and when possible, we have a few join us for a challenging workout session. God revealed to me as I was working out one day that my purpose was to equip and encourage others to honor Him with their bodies. He impressed upon my heart that my body was the foundation upon which His purpose for my life would be fulfilled. He led me to 1 Corinthians 6:19-20, “For do you not know that your body is the temple of the Holy Spirit. You were bought with a price; you are not your own. Therefore, honor God with your body.” He gave me the name Foundations 6:19 for our fitness group and He’s been adding to our group ever since. I have learned that my journey to whole health and fitness is a spiritual one that brings about great physical results (Lysa TerKeurst). I am always learning different ways to honor God with my body and my life. And I am so grateful for the opportunity God has given me to share in your journey to honor Him with your life as well! 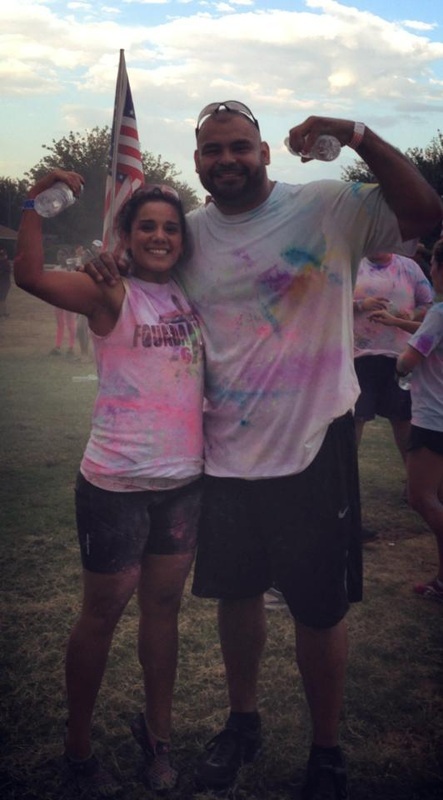 Me & my hubby after running our first 5k in July 2013.